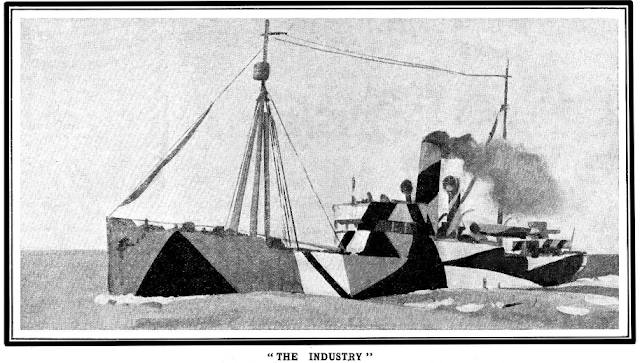 The Times of May 2nd 1941 reports on an experimental exhibition of contemporary painters in the canteen of the Ministries of Shipping and Economic Warfare, Berkeley Square House. 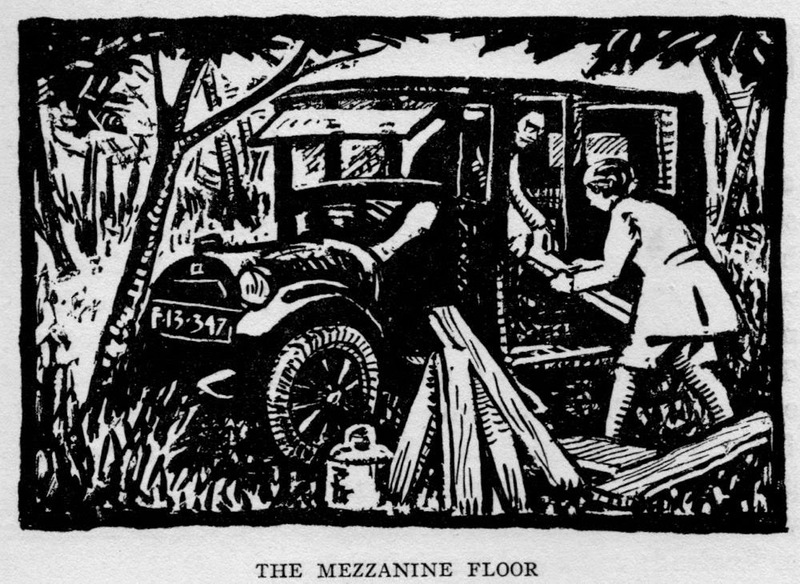 "The idea of holding such an exhibition originated with the canteen committee and has been carried through by the Artists' International Association." "The pictures, which will remain in the canteen for six weeks, include several which have been admired at recent exhibitions, such as Mr. Jan Gordon's gay and decorative view of The Citadel, Argyrocastro.." Several pictures of GynoKastro (or Gjirokastër) by the Gordons can be seen here. 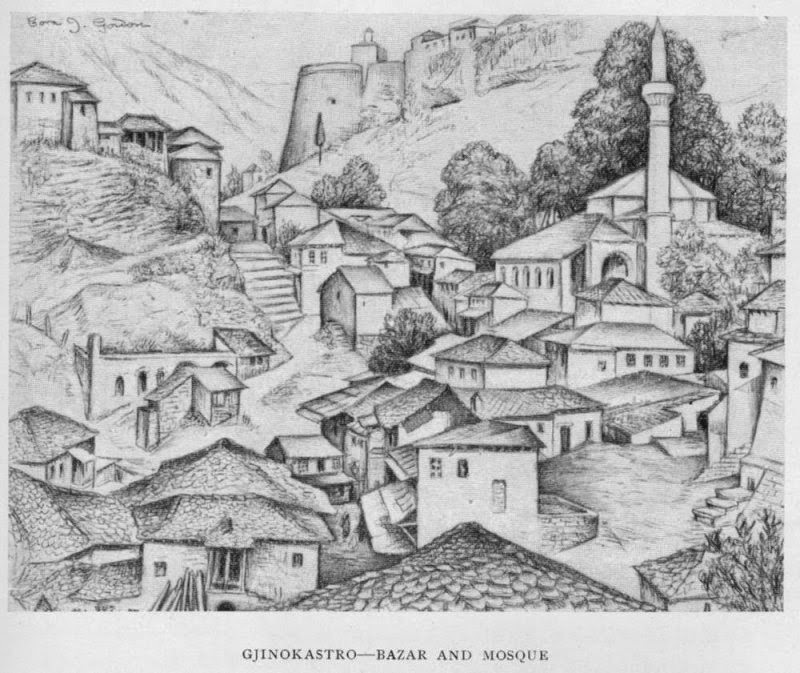 Gynokastro citadel, Bazar and mosque by Cora J. Gordon. Cora Gordon was another of the exhibitors, but no artworks by her are mentioned specifically. "The main aim of the exhibition is to enable the Civil servants who use the canteen to get to know the paintings shown not as pictures in a public gallery are known but with the familiarity of things seen daily in the routine of life. The exhibits will be transferred later to the canteen of another ministry."